We went here on our second date. Adorable, I know. Owen told me that they have "the best pie in town" and that we obviously had to try it. His favorite kind was the buttermilk pie. And I got carrot cake because carrot cake is the bomb. 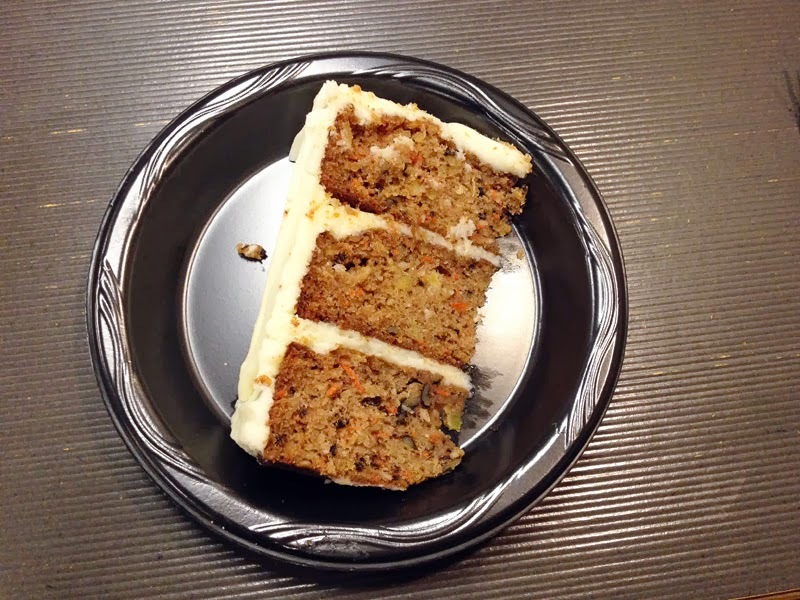 And after our second date, this carrot cake became my all-time favorite carrot cake because it was perfectly moist, perfectly carroty, had a great amount of heavenly cream cheese frosting, and most importantly - did not contain raisins. Since we had such fond memories of this place, we decided to go back recently for a little dessert following our trip to nearby 180 Tacos. 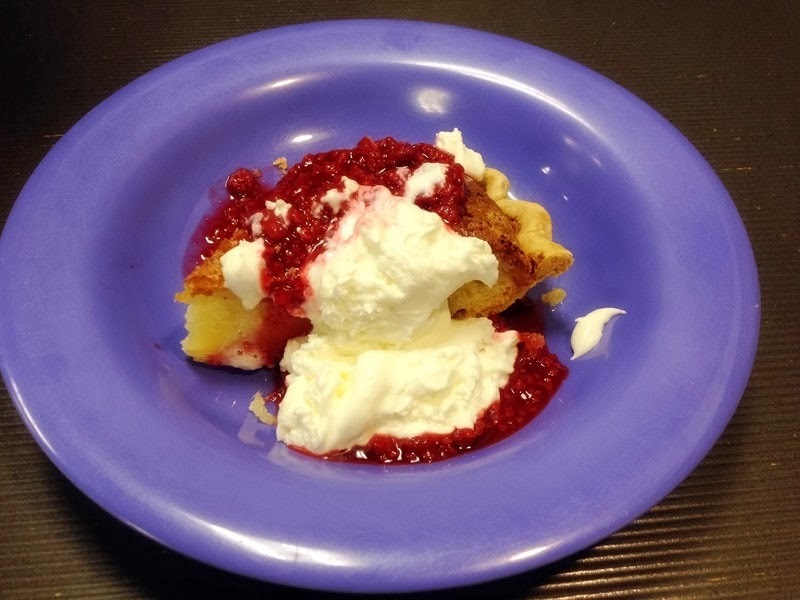 We placed our order, and when we got our cakes, we were surprised that it had taken them so long just to cut up a pie and microwave it for a little bit. I mean really, that presentation was just abysmal. And it was a little later in the evening, so I can understand not having a full kitchen staff, but seriously from what we could see, there was just one kid working the register and microwaving stuff in the back. Every time we heard someone order, we heard the microwave go off in the back a couple of times and then they called up the food. For a place with "fresh" in the title, I was a little disappointed. And that pie above? Really? Yikes. Did not look appetizing, and it tasted dry and a little old. Where did the magic go?? The carrot cake also did not live up to our memories. It also tasted like it had been set out on the counter for a couple of days, and was a little skimpy on the frosting. Such a bummer. What You Should Do: Ever since the other location closed near BYU, I feel like Magleby's has been suffering a little bit. It's not really very fresh, considering the establishment's name, and the scattered beeping of the microwave in the background didn't really do much for the ambience. Let's bring back the goodness Magleby's! What once was a favorite should be restored! Also $10 for two subpar desserts? Meh. You didn't talk about their breakfast though! Their pancakes and syrup are SOOOO good! But I remember it always takes forever there, which is annoying.